Mine too! 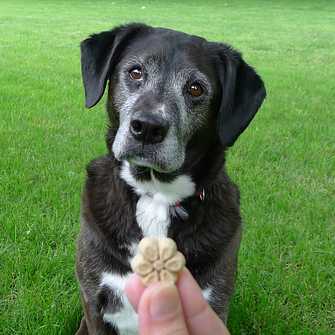 It’s hard to imagine a dog that doesn’t love treats, but it happens sometimes. Thanks Brando and Bogart, and thanks for stopping by today!? I’m not real motivated by treats. Mom has to keep changing the treats so I don’t know what might be coming, and she has to keep upping the value. I’ve never been a real big food dog. I eat slow no matter what the meal, just not so into food. The only way I do get a little motivated is with random treating and always changing the treats. That’s why you have a fantastic figure, Emma! Thanks for sharing your tip about changing the treats to keep things interesting. It’s so funny that you mentioned pretzels, Mary. That’s about the only thing that Haley won’t eat besides lettuce and celery. Pretzels are yummy so I have no idea why she snubs them, lol! I have had labrador retrievers in the past, and now I have a golden retriever. All of my dogs have always loved food and treats. My labs used to like things like apple slices but my golden turns her nose up at any kind of fruits or vegetables. It’s funny that Savannah doesn’t like fruits and veggies. I guess they all have their own preferences and favorites. LOL! 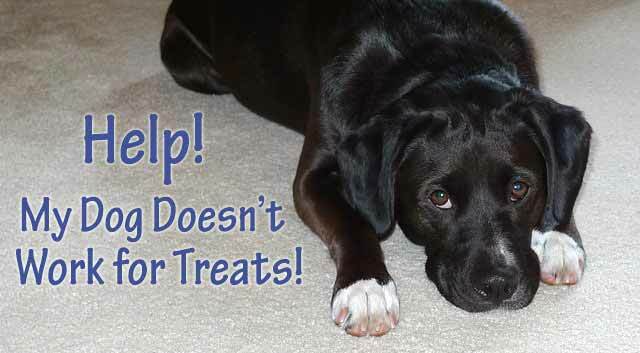 Ruby is so treat motivated – or should I say, treat obsessed! That sure makes life easier, right? Those treats really are like magic wands, haha! I love this post for so many reasons. First, I remember years ago when I was walking reactive Shermie and I was taught to have treats, etc. BUT when he’s over threshold he won’t eat treats! And no one really told me that would be the case and I freaked out. AND for my guys I always know that if we’re in a place like our house then they either need to poop or have an upset stomach if they put their nose up to treats! Now you have me wondering, Christine. I’ll have to notice if Haley turns down treats when she has to poop too. I was thinking about what you said about Sherm being over the threshold. There have been several times that I didn’t realize Haley was uncomfortable until I tried to give her a treat. It’s been a helpful insight for us too. All of our dogs have been food motivated and of course, Bentley (Basset Hound) is all about the food. LOL! Bentley makes the perfect ambassador for Dr Harvey’s, haha!? I bet they absolutely love the natural balance rolls and it’s nice that if any goes unused, you can just feed it for dinner. Haley eats Natural Balance dry food, but I’m going to pick up a roll or two for her and try that for a special treat next time! I think they have her duck and potato formula in rolls. Great tip, thanks!? 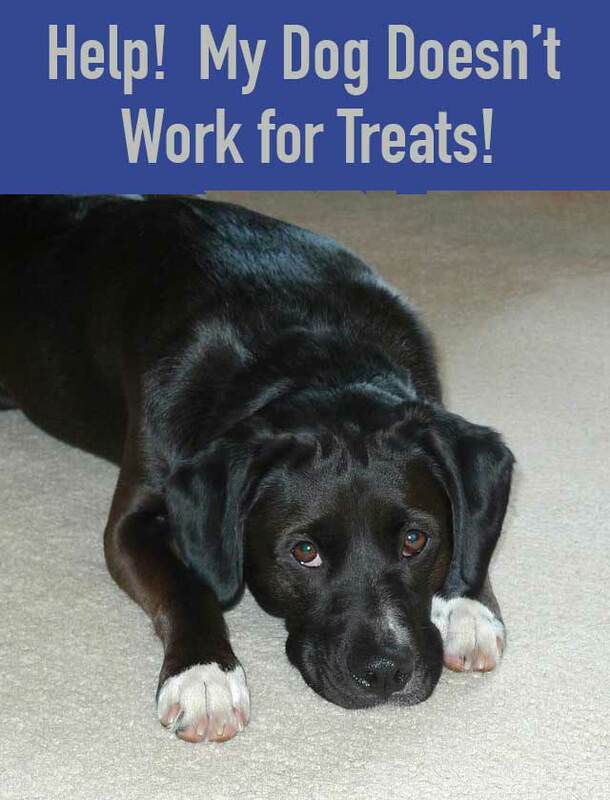 Rita will work for GOOD treats, but not just any ol’ treat! 🙂 I’m glad she will work for treats, because I know some dogs will work for a game with their favorite toy, or something like that – but she’s not all that into playing! Rita’s pretty smart to hold out for the good stuff, haha! It’s funny watching Haley play “find it” for different treats. If I used the good treats, she works much harder and finds them quicker. Haha! Ain’t that the truth, Cathy. ? Number two is a huge one for Max. He is a very picky eater and we had to go through several types of treats before he responded. Still he prefers human food way above any dog treat so we often use cubes of bread or unseasoned meat (his favorite foods). Number five is a good one to remember. I’ve often tried treats to lure him into the bath. It never works though. He outsmarts me and just walks around the pool to me, instead of through it. I’ve tried the old “let’s get in the bath” routine with treats too and it takes some pretty yummy food to get Haley to jump in the tub, haha! ? Sam is somewhat discerning when it comes to treats so when we visit the hospital staff and patients, I let them give the high value ones to him. Always makes everyone happy. ? I think it’s wonderful that you and Sam have the opportunity to cheer up so many patients and staff at your local hospital. It must be so rewarding to do something so positive and I’m sure Sam enjoys getting all the attention, plus yummy treats!? Great information with helpful tips. Thanks, JoAnn! I have a feeling your crew loves getting treats…and bubble wrap, lol!? My pup Missy is super motivated by food, always has been. Her brother Buzz is more selective than her – or should I say WAS more selective. Back in our kibble feeding days, he’d turn down his food and treats (other than bully sticks) a lot. This hasn’t happened anymore since I started feeding a raw diet and only offer single-or limited ingredient, high value treats. That’s so interesting about Buzz. I think he was trying to tell you something with turning down the kibble, right? Our pups are pretty smart!? I have Labs so they’ll work for any kind of treat. However, I was able to build a toy drive in one of them – our very shy and sometimes uncertain Shyla. Learning to tug has been fabulous for her. 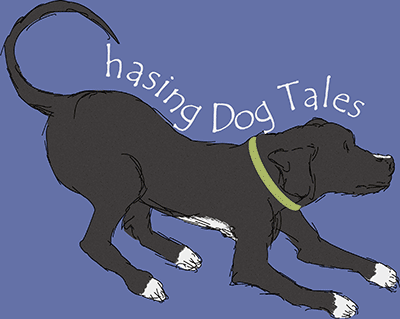 I used Denise Fenzi’s methods to teach her to love tugging, and now it rivals treats as a reward. (and she wouldn’t even grab a tug toy with her mouth when I first met her!). That’s fantastic! There’s still a lot of people that think tug-of-war is dangerous for dogs, and that could be true for certain dogs, but most dogs love it and don’t perceive it as a dominance play if they win. Our pups learn so much through playing and it really helps with bonding. It’s great that Shyla doesn’t need constant treats for rewards too! I had to laugh at your comment to Mary about lettuce and celery. The first time Chops got to meet his cousin Abby we were fixing dinner and I knew Abby loved anything that came her way from that magic spot above her. I also knew Chops wouldn’t eat celery, lettuce & cauliflower. That is until Abby scarfed up a nice piece of lettuce. His ears went up and the next piece went in his direction and he pounced on it. Then we tried celery. If Abby wanted it so did Chops. There’s a reason we call them our “kids”. Thank you for an always great blog. That’s so funny! I still can’t believe how much Abbey loves her leafy greens, lol. The next time you bring Chops down, I’ll bring Haley over to see if she’ll be convinced to scarf down some lettuce or celery with the two of them.? You have mentioned 8 most common issues. Normally dogs are not that type of animal to refuse any kind of treat. I think the medical issue is the main issue from this 8 issues. Tricks should be impressive otherwise the dog will not like it. If anybody is facing this kind of situation please contact your vet. I have a nice post on this topic that might be helpful for them as well. Thanks! Hi! I have enjoyed your website. I just adopted a 2 year old flat coat retriever and he is pure joy. We are very active together and he is so well behaved but I want him to learn fun tricks to keep his mind at work. The problem I have had so far..he just wants to cuddle! Such a problem to have I know! He is not very treat motivated but more just wants to cuddle before/during/after teaching. What do you suggest for this?